Instead of sharing a recipe today, I thought I'd share how I’ve tweaked my kitchen to make the cooking experience easier, organized and much more pleasant. Here are four ideas that may also work for you! 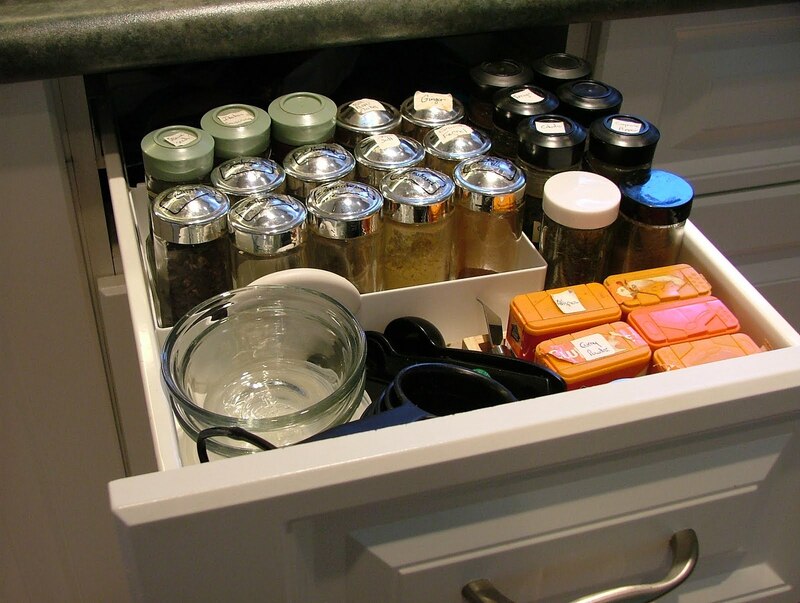 I once had a spice rack on my kitchen counter but it took up too much space. Then I tossed the rack and stored all my spices in a cupboard. That didn’t last long either. It was wasn't fun digging for a spice tucked away at the back. Now I store my spices in a pullout drawer with my measuring spoons. The tops of the spice lids are labeled (well most of them are) to make it easy to choose the ones I need! Having a blackboard in the kitchen is an idea I ripped off from Bob Blumer. 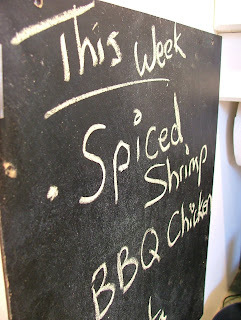 At the beginning of the week I post at least 3 dishes on the blackboard I plan to make. Here's what's interesting. When I write the dishes on the blackboard, I’m more likely to make them. Conversely if I keep the what I plan to make in my head, they are less likely to be made. If you find it difficult to prepare meals during the week, give this a try. That subtle reminder each time you step into the kitchen gets more homemade dishes on the table. 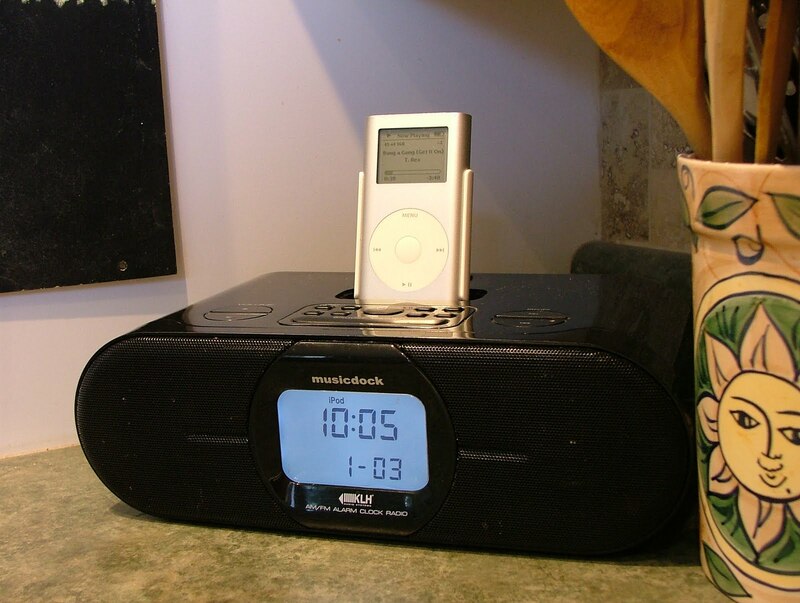 When I didn’t have kids I'd crank the tunes on the home stereo when I cooked. Now I connect my ipod to a small clock radio that sits in the corner of my kitchen countertop. It allows me to still enjoy my music, even with the other chaos surrounding me in the house. It’s a nice escape that brings out the creativity in my cooking and makes the time slicing and sautéing fly by. 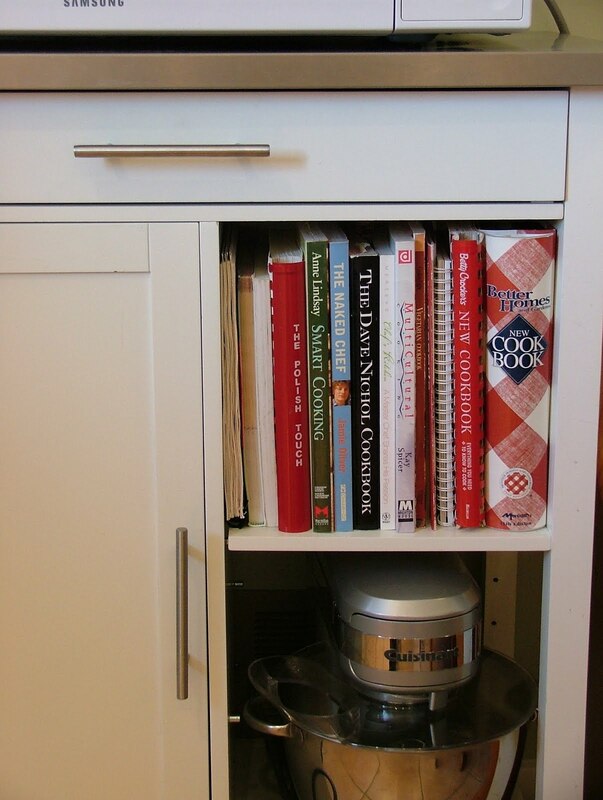 I used to keep all my cookbooks tucked away in a hard-to-reach cupboard. Now I find having my favorite cookbooks within easy reach is a true time saver. It also adds a personal touch to the kitchen. My entire cookbook library won’t fit into the open storage space I have in my kitchen so I often switch a few of the books each month to refresh the collection. I love having easy access to lots of cooking ideas and inspiration! 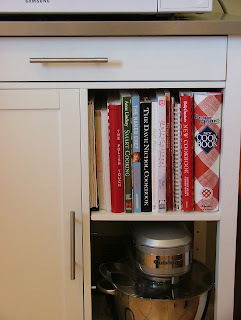 Great post, I love seeing the inside of peoples kitchens. I mounted my spices just under my kitchen cabinets. They don't take up counter space but are still easily accessible. Thanks Katerina. Mounting the spices under the kitchen cabinets sounds like a great idea! I like the blackboard idea! It'd be cool to have so when guests come over to eat, you have a little "menu" up on the wall. Katina - Yeah the blackboard is fun! 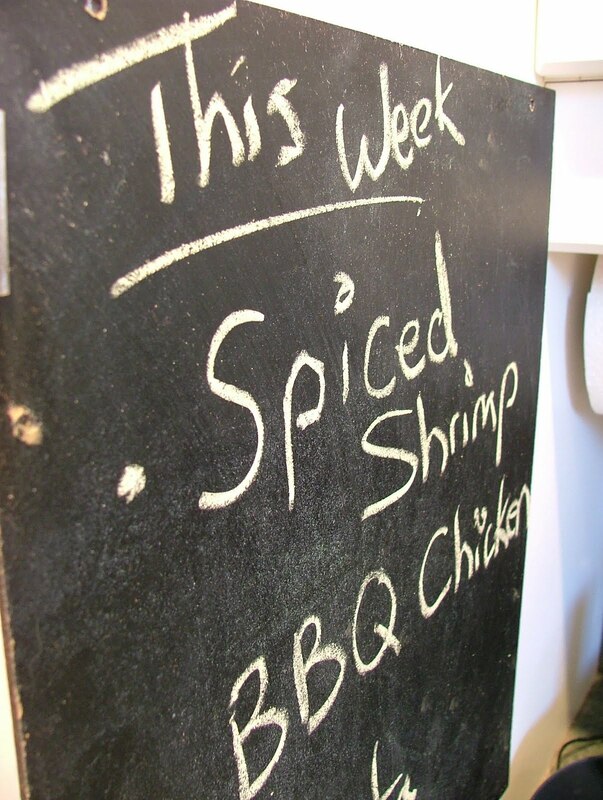 I find when people come in my kitchen for the first time, most often the blackboard becomes the conversation piece.